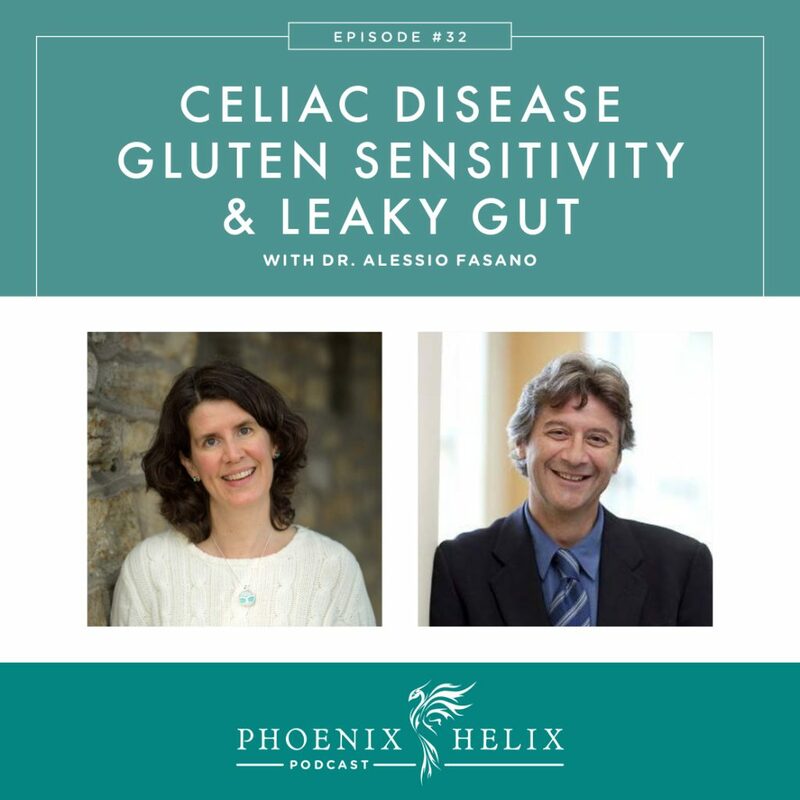 Dr. Alessio Fasano is a gastroenterologist and a world-renowned expert on intestinal permeability (aka “leaky gut) and it's connection to autoimmune disease. In order for autoimmunity to be triggered in the body, three precursors need to take place: (1) genetic vulnerability (2) environmental triggers (3) leaky gut. Then, once autoimmunity is triggered, the body attacks more than just the part associated with the diagnosis (i.e. 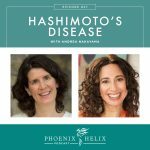 joints in rheumatoid arthritis, thyroid in Hashimoto's disease, and skin in psoriasis). It also attacks the intestinal lining, creating a vicious cycle. 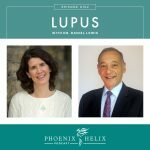 Today, we'll learn more about this complex condition and how it affects our autoimmune health. 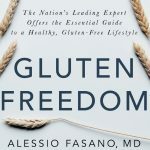 Dr. Fasano is also an expert on celiac disease, so we'll learn the difference between celiac and non-celiac gluten sensitivity (NCGS), as well as the difference between gluten cross-reaction and gluten cross-contamination. A world-renowned gastroenterologist and research scientist, and the author of the book, Gluten Freedom. Chief of Pediatric Gastroenterology and Nutrition at MassGeneral Hospital for Children. Director of the Center for Celiac Research, specializing in the treatment of patients of all ages with gluten-related disorders, including celiac disease, wheat allergy and gluten sensitivity. Director of the Mucosal Immunology and Biology Research Center. Under his leadership, investigators are studying the molecular mechanisms of autoimmune disorders. Celiac Disease is an autoimmune disease where the body attacks the small intestine, and the trigger for this attack is gluten. Gluten Sensitivity is not an autoimmune disease, but it often has symptoms that can overlap with celiac disease. These can include abdominal pain, bloating, skin rashes, joint pain, brain fog, nerve tingling, chronic headaches, chronic constipation or diarrhea. Celiac Disease: Step 1 = Don't go gluten-free before getting tested. Step 2 = tTG-IgA blood test. You can order this test online, but you need to be eating gluten for it to be accurate. Step 3 = if antibodies show up on the blood test, the diagnosis is confirmed through endoscopy. Seek out a celiac specialist for that procedure. Gluten Sensitivity: There is no accurate test currently, so it is a diagnosis based on exclusion. Step 1 = Get tested for celiac. Step 2 = If that test comes back negative, get screened for other possible causes of your symptoms (i.e. other autoimmune diseases or digestive disorders.) Step 3 = Remove gluten from your diet and see if your symptoms improve. If you went gluten-free before being tested: Step 1 = Get a genetic test that screens for celiac genes. It's not a diagnosis, but it lets you know whether it's possible for you to develop celiac disease. If you have the genes, you then have two choices: (1) Go through a gluten challenge and then take the tTG-IgA blood test. This second option can be quite hard on the body, but it's the only way to know for sure. (2) Continue to be gluten-free without a diagnosis. Gluten Cross-Contamination – When gluten is present in unexpected places – food products, and also kitchen appliances and surfaces. Gluten Cross-Reaction – The theory that some other proteins have a similar structure that the body can mis-identify as gluten. Dr. Fasano doesn't believe this exists. Instead, he thinks the other food reactions are caused by leaky gut. The intestinal lining is about 15 feet long. In addition to helping with digestion, these cells serve as a barrier to keep harmful matter out of our bodies. With healthy digestion, all food is broken down to the amino acid level, and those amino acids are allowed through the intestinal wall and become building blocks that our bodies need. With leaky gut, the barrier is no longer tight, and proteins slip through before they are broken down to the amino acid level. The body cannot identify or use these proteins, so they are seen as foreign invaders, and the body mounts an immune and inflammatory response. There are two kinds of leaky gut: (1) Structural: where the intestine has been attacked and damaged, as is the case with celiac disease and inflammatory bowel disorders. (2) Functional: where there is no damage to the intestine, but other factors cause the tight junctions between the intestinal cells to widen. Functional leaky gut is a precursor to autoimmune disease. Proteins, bacteria and viruses slip through the intestinal cell junctions, and when the immune system mounts a response, it can trigger autoimmune disease if you have a genetic vulnerability. No. The best test currently available is the Lactulose/Mannitol Challenge. You drink these two sugars, and their ratio in your urine indicates the presence or absence of leaky gut (lactulose is a large sugar and shouldn't be able to get through your intestinal lining). The theory is sound, but the practical application is prone to testing errors. They are currently working on developing a simple blood test for another marker (zonulin). That test will be more accurate and hopefully available soon. Dr. Fasano was doing research into cholera disease when he accidentally discovered a toxin called zonulin that widens intestinal cell junctions, making the gut leaky. This led him into his research on leaky gut – trying to figure out how zonulin works and how it can be controlled. People with autoimmune disease tend to release more zonulin than the average population, making us more prone to leaky gut. Based on Dr. Fasano's zonulin discovery, ALBA Therapeutics has been conducting research into a medication that blocks zonulin, thereby sealing leaky gut. Research is a very slow and very expensive process. Dr. Fasano discovered Zonulin in the mid-nineties. Larazotide acetate was engineered in 2003. Twelve years and $300 million later, the drug has been tested on 1,000 people, but it is still years away from FDA approval. This drug isn't a cure. Rather it's a safety net, best used when traveling, at a restaurant, or at a friend's house – when you can't control the food and there's a risk of exposure. This drug would prevent those foods from triggering your symptoms. Dr. Fasano warns against them, because they aren't proven to work. A recent study showed that the enzyme supplements currently on the market are ineffective at breaking down gluten. Many things can cause leaky gut: chemicals in processed food, pollutants, stress, lack of sleep, smoking, excessive alcohol intake, SIBO, and autoimmune disease itself. People in the paleo community sometimes talk about “curing” leaky gut, but it's a dynamic process, affected by what we are exposed to every day. 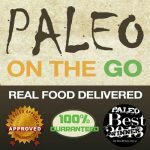 The best way to keep those intestinal junctions tight is to live the paleo diet and lifestyle fully for optimal health, addressing all the areas that cause leaky gut on a daily basis. The same things that are good for autoimmune health are also good for intestinal health. The same things that cause leaky gut also change our microbiome, and our microbiome strongly influences which genes are turned on and off. The goal of this research is to learn which bacteria are connected to which autoimmune diseases, so we can change the microbiome to turn autoimmunity off again. It's very new research – too soon to have any answers, but its potential is exciting. Dr. Fasano and his team are conducting their studies using celiac disease as a model, through the Mucosal Immunology and Biology Research Center. For probiotics to be effective, they need to be customized for each person's needs, and right now, the research isn't there yet. The supplements currently being sold are the same strains for everyone. A huge mistake was made with the overuse of antibiotics. Dr. Fasano fears that a similar mistake is being made with the overuse of mass-produced probiotics today. Dr. Fasano does, however, see the value of probiotics that are a natural component of fermented foods like sauerkraut, yogurt, etc. He thinks these are a good component of a healthy diet. You can stay up to date with Dr. Fasano's research through the Center for Celiac Research. You can also follow the center on Facebook and Twitter.